I'm using LibreOfficeBase but the laucher doesn't display the proper icon, just a generic blank one as shown in the attached screen-shot. That is the Libreoffice base icon. > That is the Libreoffice base icon. 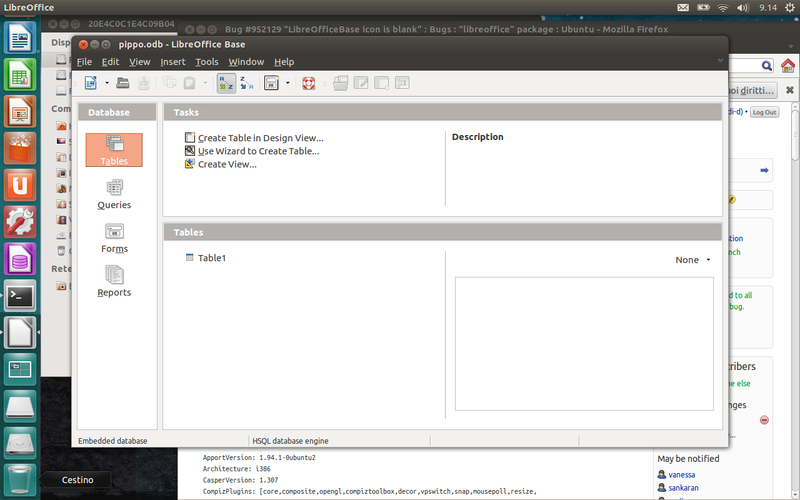 > icon, just a generic blank one as shown in the attached screen-shot. 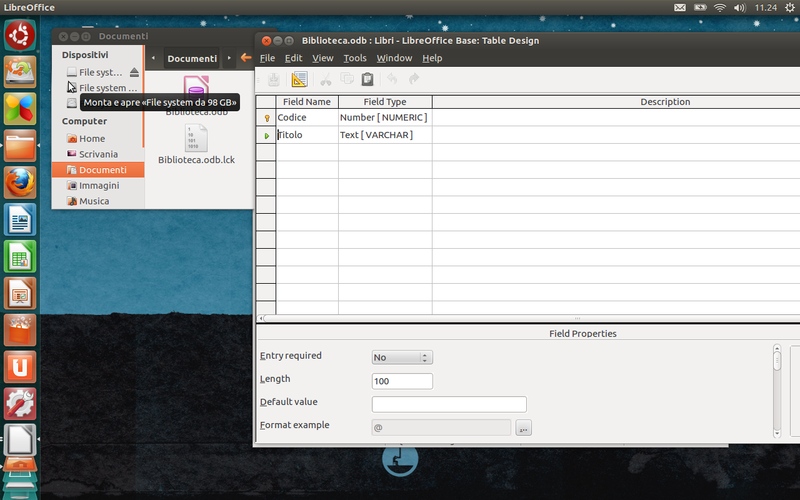 Bug reproduced and confirmed in Precise fully upgraded with libreoffice-base installed. I can confirm this bug on Ubuntu Precise with libreoffice 3.5.0 and Unity 5.4.0. Confirmed in 20120327.1 beta2 version. LibreOfficeBase icon is displayed but the blank LibreOffice icon is displayed too. Seems to work in general on wily and later. Anyway, if this is still an issue, it would need fixing in bamf anyway.